By the late fourth century BCE Rome had conquered much of modern day Italy and was a maturing power in the Mediterranean. In the First Punic War (264-241) Rome defeated Carthage and acquired Sicily as its first overseas province. 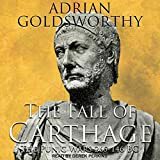 The late third century saw Rome again at war against Carthage and the two powers vied for control of the Mediterranean on an even greater scale. As the second century began Rome found itself embroiled in the affairs of the Hellenistic Successor Kingdoms of the Greek East. Historians recognize that the Romans succeeded in building their empire, and as such it follows that the Romans were successful in battle against their enemies for several centuries. While many Classicists claim that Rome was successful in the various wars because of the alliance system that afforded her a massive reservoir of manpower, this is simplistic. Vast reserves of manpower were important in long drawn out wars, but individual battles were won by other means. Although the Romans were not universally victorious, they had a clear penchant for winning battles. The tactically superior manipular formation that the Romans employed against their enemies was the main reason for this superiority. The Romans gradually shifted from the more conventional phalanx formation to the manipular, trilinear organization throughout the mid to late fourth century. By the end of the third century it had been in use for over a hundred years. The new formation offered significant tactical advantages to other formations in use and was particularly effective against a phalanx if used correctly. Four battles in particular demonstrate how the legion and its unique tactical structure were successful against the phalanx. Written by Garrett Kochom, linked by Jan van der Crabben, published 19 April 2012. Source URL: http://minds.wisconsin.edu/bitstream/handle/1793/46588/Kochom.pdf?sequence=2. Kochom, Garrett. "The Manipular formation used by Republican Roman Armies (circa 218 -168 BCE)." Ancient History Encyclopedia. Last modified April 19, 2012. https://www.ancient.eu/article/357/. Kochom, Garrett. "The Manipular formation used by Republican Roman Armies (circa 218 -168 BCE)." Ancient History Encyclopedia. Ancient History Encyclopedia, 19 Apr 2012. Web. 20 Apr 2019. Original article by Garrett Kochom. Submitted by Jan van der Crabben, published on 19 April 2012 under the following license: Creative Commons: Attribution-NonCommercial-ShareAlike. This license lets others remix, tweak, and build upon this content non-commercially, as long as they credit the author and license their new creations under the identical terms. Please note that content linked from this page may have different licensing terms.